The Greek Open Data Portal includes datasets created and published by Open Knowledge Foundation Greece, following the EU's Open Data Directive and the specifications that are met by the European Open Data Portal. The "Day Like Today" app is a timeline of historical events. The story of every day is presented in the time line by drawing data from the semantic representation of Wikipedia, DBpedia. 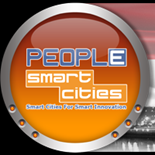 The project "People" involves the development of smart cities through the rapid deployment, development and obsorbtion of innovative Internet-based services to address the major challenges of developed cities. The goal is to improve the quality of life in cities, something that will take place within the program with careful planning and implementation of methods and approaches to open innovation according to the needs of the citizens. For these purposes, four Smart Open Urban Innovation Ecosystems have been created in order to make cities smart and sustainable, using ICT services and to improve citizens' day-to-day lives in their cities.